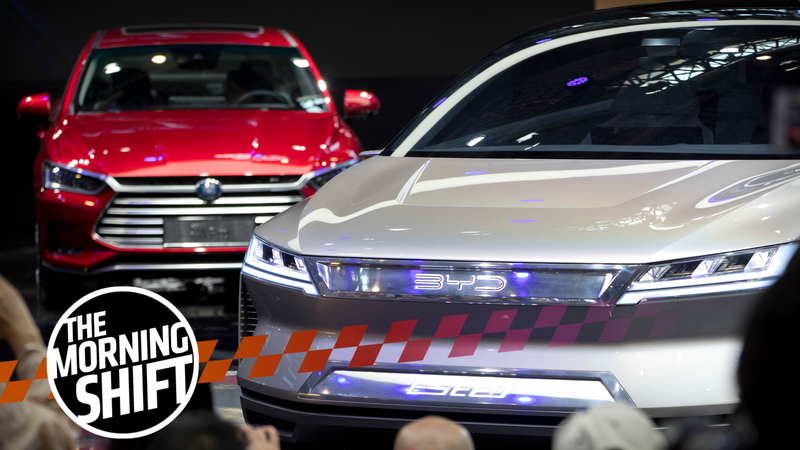 There’s too many cooks in the Chinese electric vehicle market, VW’s former CEO has been charged over Dieselgate in Germany, Elon Musk admits he’s always been “crazy on Twitter,” and so much more for the Morning Shift of Monday, April 15, 2019. China’s market of 486 registered electric vehicle companies may be on the brink of collapse, Bloomberg reports, citing a lack of demand and signs that the market just won’t grow quick enough to sustain so many automakers. ﻿The startups promise to deliver a collective manufacturing capacity of 3.9 million vehicles a year. That’s excluding what some of the world’s biggest automakers are planning. Even the Chinese government’s push to sell seven million electric cars a year by 2025 likely wouldn’t be able to sustain a profitably output from all of the new EV factories going up, leading more and more startups slipping into the red in the coming years. The Chinese market also faces incoming competition from Volkswagen, Ford and Tesla, with a new Shanghai Gigafactory recently announced, and the potential loss of China’s full $7,500 vehicle subsidy program. That could be catastrophic for the smaller startups still trying to establish themselves. On that note, electric vehicle innovation seems to be shifting to the startup businesses and away from the big established automakers, as Reuters reports. Companies like Tesla, Nio, Rimac, and Pininfarina were all able to produce EVs with impressive performance capabilities with small teams, in contrast to the slow pace of bigger, more established automakers developing their first EV models. It even took startup Rivian to introduce the first mainstream electric pickup truck concept in a U.S. market where truck and off-road sales are commonly the biggest and most profitable segments for established automakers like Ford and GM. ﻿Wollman’s move, which has not been made public, comes at a time when big carmakers, like Volkswagen and Mercedes, have been blindsided by stricter and costly emissions tests, forcing them to focus resources on mainstream electric models and on cleaning up their combustion engines. “Large companies take time to transform. And I am good at hypercars. I just did Project One, and now this opportunity came,” 37-year-old Wollmann told Reuters about his reason for joining Automobili Pininfarina, a Munich-based electric carmaker that launched last year. “Rene Wollmann came to us because he said it was difficult to realize projects like these at a large company,” Michael Perschke, Automobili Pininfarina’s Chief Executive told Reuters. Wollmann was also the guy behind the electric Mercedes AMG SLS, and it’s a little surprising to see him have to jump ship to go find fulfilling projects. It’s probably good for Pininfarina and definitely not a good look for Mercedes-AMG. Former Volkswagen CEO Martin Winterkorn, who bailed out of the company following the Dieselgate revelations that he allegedly allowed his companies to cheat diesel emissions tests, is being charged with fraud and violation of competition law along with four other executives as announced by prosecutors in the city of Brunswick via Automotive News. Winterkorn is accused of serious fraud because he failed to disclose the illegal manipulation of diesel engines to the responsible authorities in Europe and the U.S. and to customers. He also failed to prohibit the further installation of “defeat device” software after May 25, 2014, resulting in significantly higher fines, the statement said. Winterkorn has already been criminally charged over Dieselgate in the U.S., but hasn’t been tried or arrested since he isn’t stupid enough to leave Germany right now, his home country that won’t extradite him. Of course, eventually even Germany was going to get around to prosecuting him, so we’ll see what happens next. Elon Musk, the guy just doesn’t learn. After already having to step down as Chairman of Tesla and pay a $20 million fine in a settlement with the Securities and Exchange Commission, the two parties are currently reworking the language of their settlement under orders from a U.S. District Judge. ﻿Musk wrote Sunday that Tesla will make more than 500,000 cars in the next 12 months. A similar tweet sent almost two months ago in which Musk said the company would build half a million vehicles in 2019 led the U.S. Securities and Exchange Commission to argue he was in contempt of a settlement reached with the regulator last year. He also recently tweeted that the Wall Street Journal are “sock puppets” of “big oil,” and repeatedly supported other Twitter users calling out Bloomberg reporter Dana Hull, claiming it was “embarrassing” that the Tesla Twitter account followed her. Log off, Elon. Or don’t. I can always rely on you for Morning Shift gears. ﻿Southwest Airlines Co, the world’s largest MAX operator, and American Airlines Group Inc with 34 and 24 MAX jetliners respectively, have removed the aircraft from their flying schedules into August. Southwest’s decision will lead to 160 cancellations of some 4,200 daily flights between June 8 and Aug. 5, while American’s removal through Aug. 19 means about 115 daily cancellations, or 1.5 percent of its summer flying schedule each day. It’s still unclear exactly how big of an impact the 737 MAX cancellations will have, but some airlines are even considering bringing idled plans back into commission to try to put a dent in the problem. Boeing is currently working on an upgrade to what’s believed to be the software at fault in both recent crashes, Reuters reports, but the fix will take a few months to implement and the plane will have to be re-certified to fly before it can be scheduled again. Neutral: Which EVs Are You Most Excited About? The top talent and innovative ideas may all be focused around EV startups like Rimac, Pininfarina, and Rivian, but some of the more traditional automakers are also giving it a shot. I’m particularly excited for the upcoming Porsche Taycan, but which EVs are you most excited for?